20th May 2018 Where are we next? 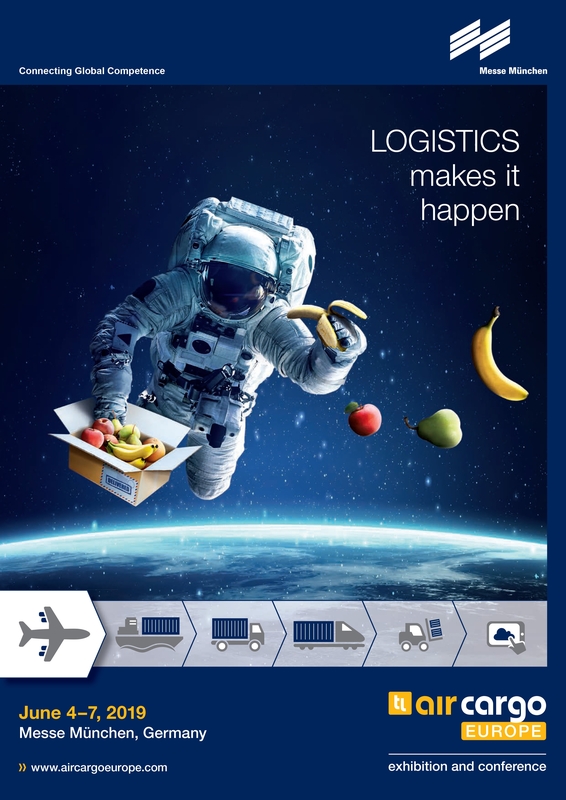 Air Cargo Europe 2019, the world's largest exhibition and conference for the air cargo industry will be taking place on June 4–7, 2019 in Munich as part of transport logistic. Air Cargo Europe is unique for its wide range of exhibits such as: General Sales Agents, Airlines, Logistics providers, cargo handling companies etc, just to name a few! Come and join us at this international industry gathering!